(JTA) — Some college students who think about becoming rabbis aren’t sure whether they will want to work in a synagogue or school. Others get hung up on which seminary to attend or denomination to join. Lior Gross had a different dilemma: How to speak Hebrew in the first person. Gross, a student at the University of Colorado Boulder, identifies as nonbinary — neither male nor female — and uses the pronouns “they” and “them.” That means Hebrew presents a challenge: Many verbs, and all nouns and adjectives, are either grammatically male or female. Talmid, for example, means a male student, while talmida is the female form. For nonbinary Jews, including some transgender people, speaking Hebrew — or praying or participating in services — can be fraught. It can mean being forced to identify with one of the genders they have eschewed. So instead of misrepresenting their gender, Gross decided to change Hebrew. Along with Eyal Rivlin, a Hebrew professor at C.U. Boulder, Gross created what is essentially a third gender in Hebrew grammar — a way for nonbinary Jews to speak the language without compromising their identity. Gross and Rivlin aren’t the first to create a Hebrew grammar for nonbinary people. Habonim Dror, the labor Zionist youth movement, innovated a nonbinary Hebrew that takes the suffix -ol for singular words and the -imot suffix for plurals. Rivlin said that in Israel, some transgender people choose to speak in the gender they now identify with. Others switch off sentence to sentence. Gross and Rivlin’s nonbinary Hebrew is one more step in efforts by nonbinary Jews to create space for themselves in what traditionally is a very gendered religion. Until the middle of the 20th century, nearly all public Jewish prayer was gender-segregated, with leadership roles restricted to men. As liberal Jewish movements have become gender-egalitarian, LGBT Jews are aiming to make them more comfortable for Jews who are lesbian, gay, bisexual or transgender. For transgender Jews, this has meant changing some of the language core to Jewish ritual. An adolescent in York, England, had a b’nei mitzvah this year using the plural form to avoid identifying as a bar (male) or bat (female) mitzvah. The Fort Tryon Jewish Center, a traditional-egalitarian congregation in New York City, created a guide last year to Torah-service ritual for all genders. When Jews are called up to the Torah, they are generally announced with their Hebrew first name followed by “ben” or “bat” (son or daughter) and their parent’s or parents’ names. Drawing on a custom transgender Jews had already innovated, the guide says nonbinary people who are called up to the Torah should be referred to in gender-neutral language that announces them with their Hebrew name, followed by “mi’beit,” or “from the house of,” their parents. Similar alternatives are presented throughout the ritual surrounding Torah reading. Kehillat Hadar, an independent prayer group in Manhattan, has a similar guide. As untraditional as the new Hebrew grammar might seem, Gross said there’s precedent in foundational Jewish texts for a multiplicity of gender. The Talmud, for example, refers to people who are neither male nor female, people who are both, and those of one gender who later develop the characteristics of another. Rivlin also said that because modern Hebrew is only about a century old, it’s still in the process of being formed. And some Israelis chafe at the language’s gendered forms. Some women resist referring to their husbands by the traditional word “baal,” which means “master,” opting instead for the word “ish,” which means “man,” or “ben-zug,” which connotes a romantic partner. And Meirav Michaeli, a Knesset member for the Labor Party, often refers to mixed groups of people using feminine language as opposed to the traditional masculine. Gross does not live in Israel and did not grow up speaking Hebrew, but nonetheless is optimistic that their nonbinary Hebrew can spread among people for whom it provides a solution. Gross is due to graduate next month with a master’s degree in ecology and evolutionary biology, and hopes to attend rabbinical school in a year or two. 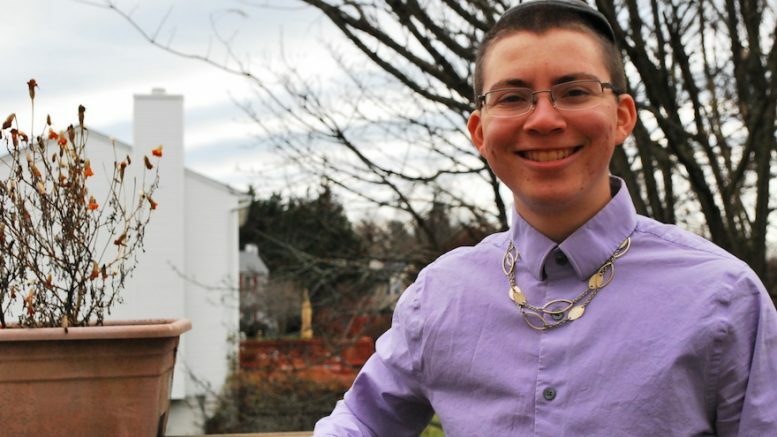 Be the first to comment on "This college student created a way for nonbinary people to speak Hebrew"